Being a comedian can be tough, especially when you are first starting out, and even then you are prone to possibly having a bad night. 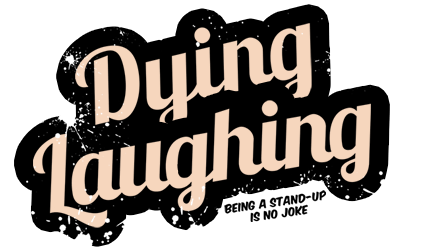 This is what Dying Laughing is all about, a film in which a number of comedians from the past and present discuss what it is like having such a career. A new trailer was released today that summarizes the movie. In the two minute clip everyone from Chris Rock and Kevin Hart to Jerry Seinfeld and Sarah Silverman, discuss a number of different topics centered around being a comedian. “A lot of comedians just want laugh, laugh, laugh,” Rock says in the trailer’s opening seconds, before saying how he likes his performances to be a combination of emotions and feelings. “When you walk out onstage the only thing you can do is grab the reins and just try to ride it,” Cedric The Entertainer adds. Judging by its trailer Dying Laughing will be worth a watch. It is interesting to hear the beginnings of many of these performers’ careers, and seeing what they have become since then. Case in point? Rock, who landed $40 million for his first comedy specials in eight years. Those specials (two specifically) will be airing on Netflix, with the first show being taped some time in 2017, following a new world tour that’s currently in the works. Check out the trailer for Dying Laughing below, and check it out when it hits limited theaters and VOD on February 24.